My next couple of blogs are going to feature projects that I’ve made with fabric rosettes, so I figured that I should show how I made these first! These rosettes are made by the gathered method and very easy to make. My future mother-in-law showed me how to make these and these are the easiest ones that I’ve seen. 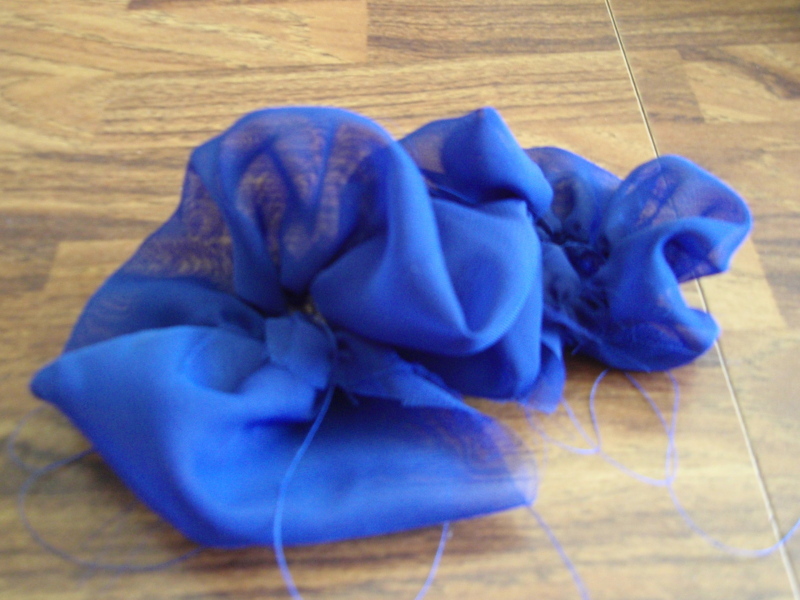 These rosettes are kind of loose and de-constructed and works well with chiffon. 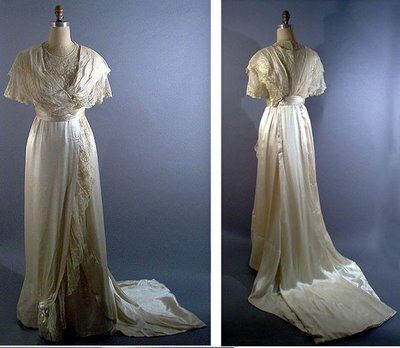 I made a few out of silk dupioni for my wedding dress and those were a lot more difficult with the heavier fabric, but turned out being very beautiful. 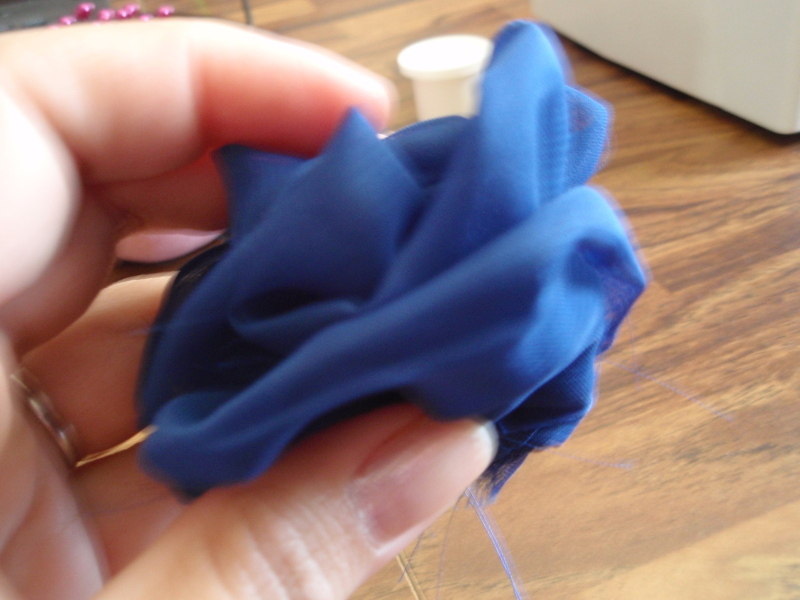 The thing about working with silk dupioni is that you can crease it the way you want, so the rosette turns into a different looking one from the chiffon rosettes. 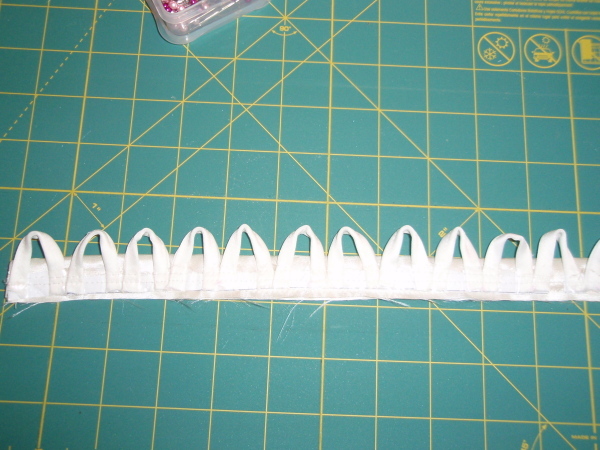 First, cut a strip of material double the width you want the “petals” of your rosette. Whatever length you cut your strip depends on how many layers of “petals” that you want and how large you want your rosette. I suggest practicing a few rosettes to see what sizes you like and to get the hang of this. My first few attempts weren’t that pretty, but the more I made, the more I got used to how to work the fabric and get the layers to lay how I want them. 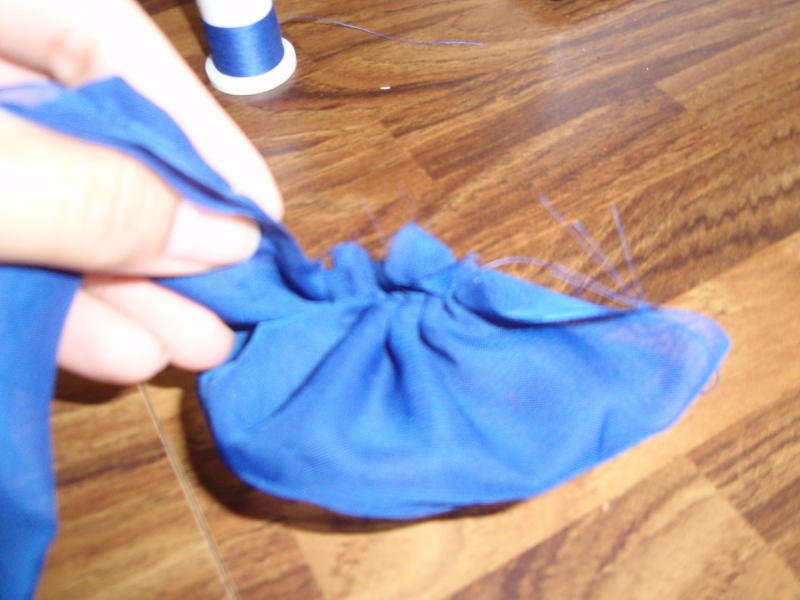 After cutting strip, fold it in half and baste it. I found that if when you cut your strip you taper one end and widen the other that it makes a more interesting rosette, with the tapered end forming the inner part of the rosette. 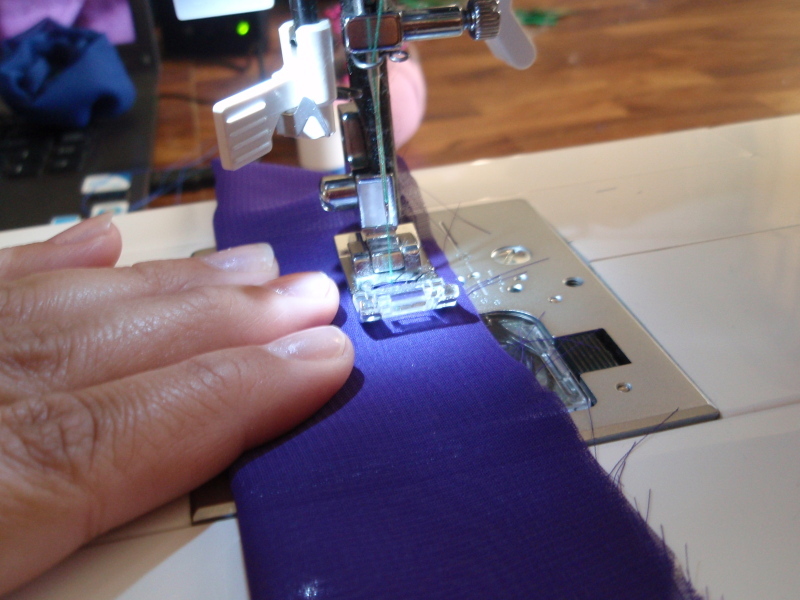 After basting the strip, gently pull one end of thread and gather the fabric. 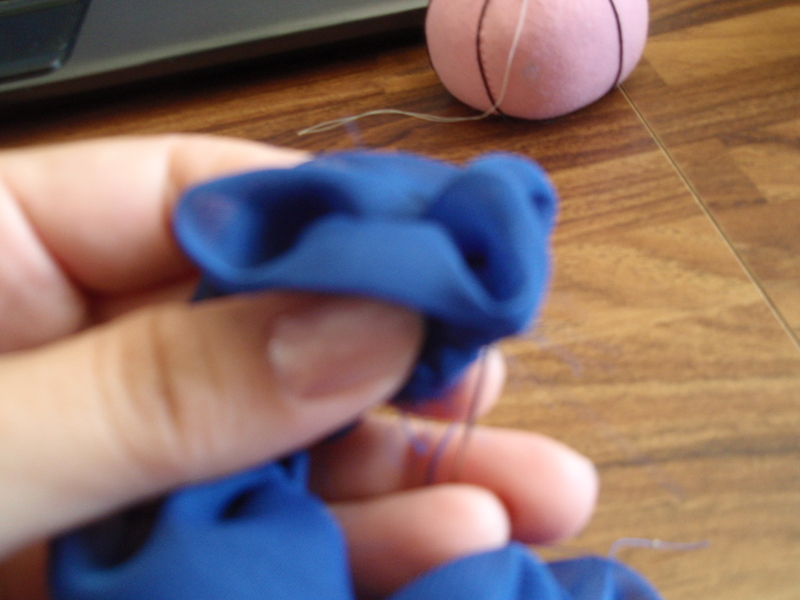 Then take your gathered fabric strip and start circling the fabric around, sewing by hand with a needle and thread as you form your rosette. My rosette has swarovski crystals in the center as this one goes on my maid of honor’s dress and this is what my bridesmaid’s dresses have on them. 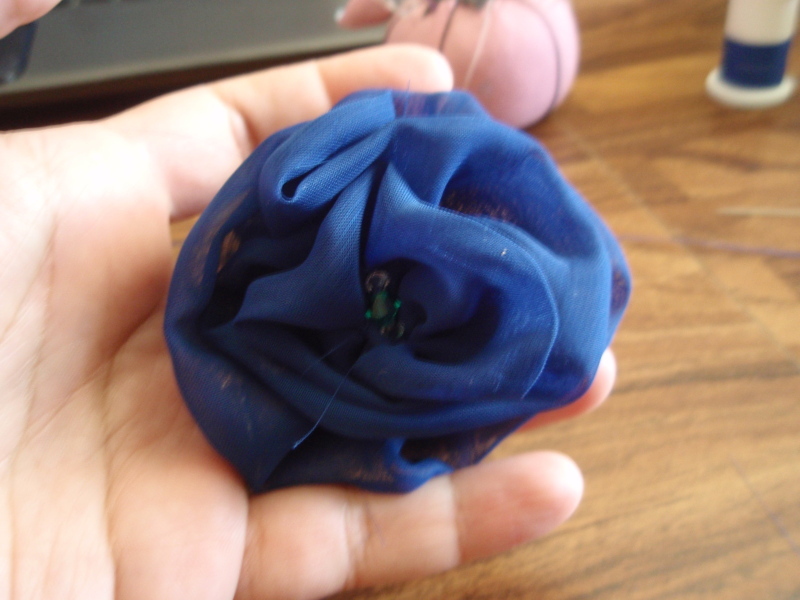 This rosette is made out of polyester chiffon which frays quite a bit, so when I sewed it together, I made sure that I sewed the edges where it was fraying. These are some other rosettes that I’ve made. 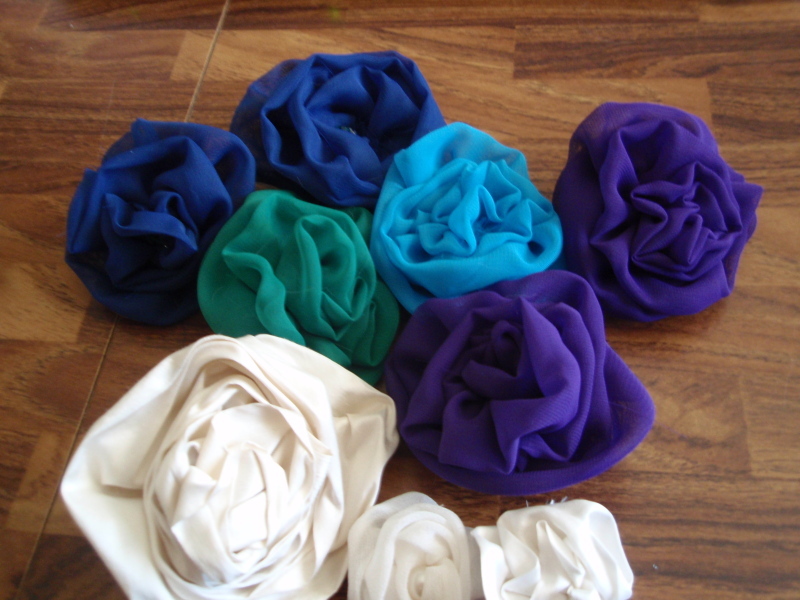 The colored ones are with polyester chiffon, the large one on the bottom is made of silk dupioni as is the one bottom right, while the one in the middle is silk chiffon. 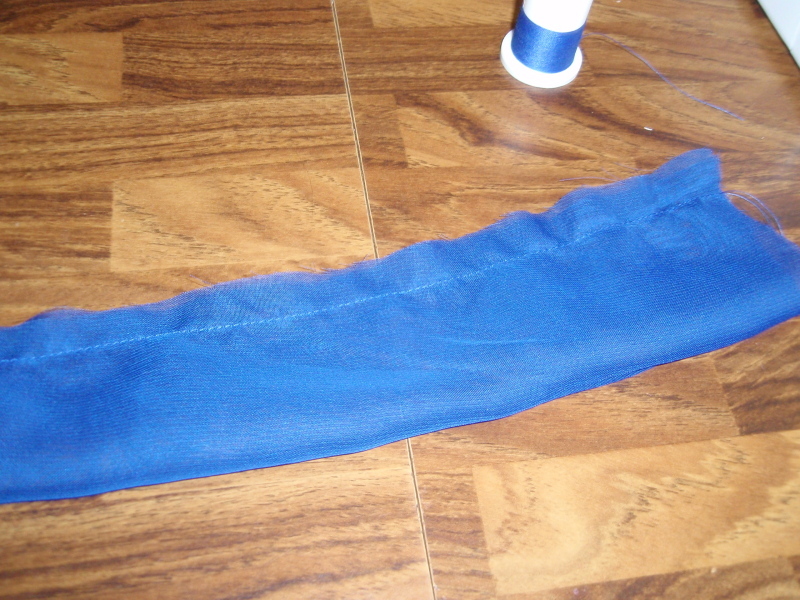 As you can see, different fabrics will produce a different effect.